Public disquiet about the behaviour, size and admin costs/salaries of some charities has focused attention on charities as institutions and how they work, rather than their role in society and the benefit they provide. There's a risk of growing detachment of people from the idea of charity (the needs and causes) because of disenchantment with charities (the institutions). The Understanding Charities Group has been working to create a positive narrative for the charity sector. We believe we need to reclaim the word 'charity' and invest it with contemporary meaning. We need to assert values common to the largest ‘professional’ charity and the smallest ‘volunteer-led’ one. We must tell a story about people making the difference, not charities. We should communicate charity as an expression of people’s concern and will, focusing on the benefit of charity to society, rather than on the organisations themselves. 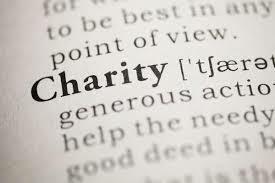 Charity is about people making a difference to the problems in the world they care about and want to help solve. Charities can help them do that. We've come up with a skeleton narrative that we think will start to get charities back on the front foot with a positive message about why we're here and what we do. ​We live in an imperfect world, an unfair world, a world of problems. ​There are things we can’t accept and have to act upon. People share a basic humanity, and have a charitable instinct, to care enough to want to help. With passion, drive and expertise people can change the world. They want to join in and be part of it. We have already changed the world for the better in many ways. But there is still so much to do. A fairer and better world, now and for future generations. Charity touches all of us in many ways, often unseen. It makes our society richer and warmer. We all benefit from that, though those most in need benefit more directly. How does charity make a difference? People with passion and commitment come together to make things better for others. Charities can harness and organise the passion, skills, voluntary time and professional expertise of committed people, to make a difference. Why us – what makes charity and charities special? We understand the challenges, and we share a common humanity. Charity is “of, for and by the people”; an expression of people’s will to come together to make a difference, to do things that no-one else can or will do. Charities are the vehicles they choose to do that, fuelled by the same motivations, and their desire and responsibility to do the best they can makes them want to be professional and expert at what they do. Why you – why should you feel good about charity and charities? Because you’re part of it: we can only achieve this together. The Understanding Charities Group is a cross-sector group of charities, umbrella bodies, agencies and other interested parties, a coalition of the willing who want to improve the public’s trust and understanding of charities. We have around 300 individuals signed up to our email list to be actively involved and to keep in touch with our activity. But in order for us to move this work forward, we need more charities to engage with it. The development of a ‘narrative package’ for individual charities to reference and link in to, drawing down from the overall narrative to specific cases relating to their own activity. If you'd like to join our email list to receive updates on the work of the Understanding Charities Group.